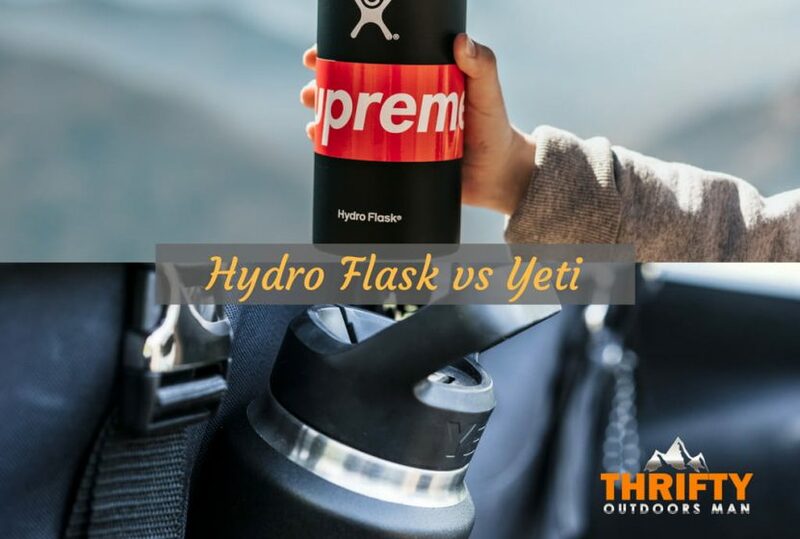 Hydro Flask vs Yeti – Which Insulated Water Bottle is Better? There’s no question that staying hydrated is a must. Whether you are an outdoor enthusiast reaching for the water bottle in your pack or a truck driver in need of hot coffee around the clock, a reusable tumbler soon becomes an essential part of your daily life. 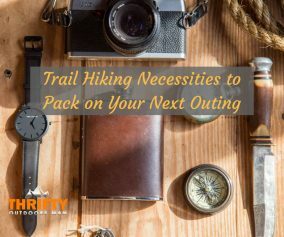 Yet, not every tumbler out there keeps your drinks fresh or is leak and condensation proof like the ones offered by two reputable companies: Yeti and Hydro Flask. Both brands have garnered a lot of attention. While Yeti is mostly known for their coolers, Hydro Flask has been making a name for itself in the tumbler and travel mug world for a few years now. How do these two stack up against one another? Which one is worth the price? In the battle of Hydro Flask vs. Yeti tumblers, which one will rise to the top? Today, we find out. Let’s get started. Both the Hydro Flask and Yeti tumblers are constructed out of 18/8 pro-grade stainless steel, which is the best material for this kind of reusable drinkware. Furthermore, the coating on both tumblers is non-sweat, so you never have to worry about sweat forming on the outside. Stainless steel is also superb at maintaining the temperature of the fluid inside the tumbler. Yeti tumblers only come in stainless steel and 5 “DuraCoat” color options. Hydro Flask, however, comes with a full range of powder-coated colors and other customizable points. While Hydro Flask also has stainless steel, just like Yeti, the company is continuously releasing new colors for their flasks and alternating the selectable palette. The Yeti Tumbler comes in multiple sizes: 10, 18, 20, 26 (bottle) 30, and 36 fluid ounces. Half gallons are also available. This is relatively standard, so you won’t have to worry about the tumblers not fitting inside cup holders. The Hydro Flask also has 4 different sizes: 18, 32, 40, 64 fluid ounces. This isn’t including the mugs, cups, and other style options. 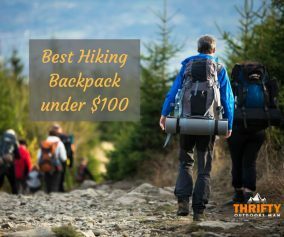 If you’re looking for the best deal in terms of quantity vs. price, Hydro Flask beats Yeti in this round. Which size you choose, both tumblers have double-wall vacuum insulation. As mentioned earlier, the stainless steel helps with retaining the temperature of fluids; but it is the insulation that truly keeps your ice from melting or your coffee from going cold. 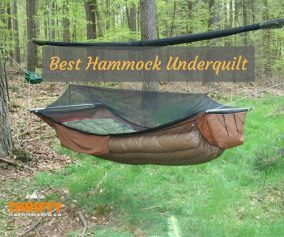 Also, insulation helps prevent metallic tastes or odd smells from occurring. Speaking of keeping beverages hot, the Yeti tumbler will maintain the temperature for about 5 hours. Hydro Flask does the same. There are some comparisons about how long both tumblers truly keep drinks hot, but the results vary. Therefore, just take our word for it—the Hydro Flask and Yeti will keep your coffee steaming for a good 3 hours. After that, you can expect a slight cool down at the 5 hour mark (but beverage will still be drinkable). This is where the design of the two tumblers is most different. Hydro Flask tumblers, with all the flexibility of making one that’s right for you, even allow you to choose the cap you want. If you want better ergonomics, you can choose the three-fingered grip cap, which beats Yeti’s single design. The other standard selection is a screw-on lid with a flexible handle. Or you can pick a screw-on flip-top. The choice is yours, and the price of these changes won’t affect the cost of the tumbler too much. You’ll still be paying less than you would for a Yeti. As for Yeti, the lid design isn’t as creative. You have 1 option: a plastic screw-on with a handle. Of course, that doesn’t make it bad—because this lid is tough and does what it’s meant to do. But if it’s not your preference, that can be an issue. Both Hydro Flask and Yeti lids are BPA-free. Now, about the openings on the tumblers. Again, Hydro Flask and Yeti are completely dissimilar here. The Hydro Flask tumbler has a wide opening but narrow mouth when compared to the Yeti. How narrow? You have to put in ice cubes one by one, and it might hit your nose when you go to drink. The Yeti tumbler mouth might have a slightly better design, especially if you want to be able to drink without having the rim touch your nose or if you want to pour ice into the tumbler through the mouth. Since the tumbler is cylindrical, the mouth’s size is maximized. However, one thing to note is that the threads for the cap are inside the tumbler, so your mouth will touch parts that are unprotected by the lid. Yeti comes out on top in the durability test. When dropped, it won’t dent, chip, or scratch. Hydro Flask is a little less resilient, as other users have remarked about how easily the tumbler gets dinged up. Hydro Flask tumblers can only be washed by hand, because the finish will chip in the dishwasher. Yeti tumblers are 100% dishwasher safe. The shatter-resistant lid and even the DuraCoated tumblers can be placed in the dishwasher with chance of structural damage. For those who dislike doing dishes by hand, the Yeti has a clear advantage here. Regardless, both tumblers are easy to clean—as far as tumblers go. Yes, sometimes unfortunate things happen to your precious tumbler. Yeti offers a limited 5 warranty, which is the same for all their products, coolers included. On the other hand, Hydro Flask stands by their product with a lifetime warranty at no additional cost. Both companies are truly respectable, though, so you can trust either product to last a long time and be as functional as you hope. Hydro Flask vs. Yeti tumbler—which one is the winner? There is no clear winner in this comparison, because both tumblers do an equally good job at keeping liquids hot/cool and refreshing. Both have components that are a cut above other generic tumblers, such as double-wall vacuum insulation, 18/8 stainless steel construction, color options, leak-proof lids, and ergonomic designs. However, if you’re looking for true ease of use, dishwasher-friendless and effective temperature retention, the Yeti tumbler will satisfy your needs. For those who seek a less pricey option, more customizable features, accessories, and colors, the Hydro Flask is the more preferable option. Yet, either tumbler is going to be a worthwhile purchase for those who love the outdoors and want to stay hydrated. Check Hydro Flask Price on Amazon! Check Yeti Price on Amazon! 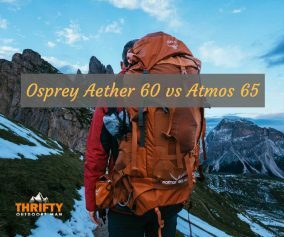 » Hiking » Hydro Flask vs Yeti – Which Insulated Water Bottle is Better?